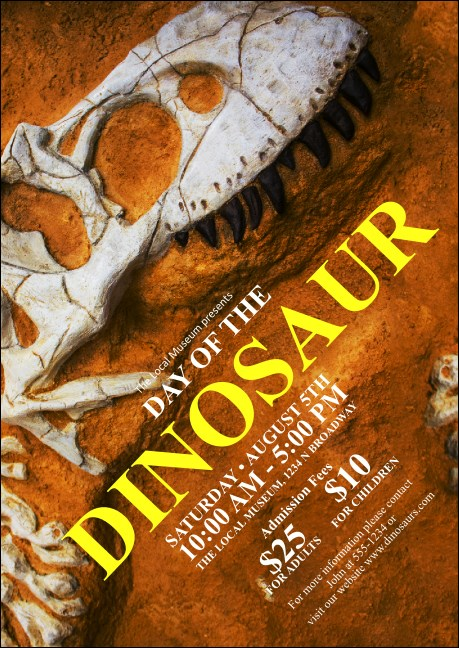 Discover new worlds and new fans of archaeology and science when you post the Dinosaur Club Flyer before your school or museum event. A T-Rex skull is unearthed in this high resolution template, with fourteen lines for event details. This small flyer packs a big punch for your event planning package. Dig up educational promotions with the right design from TicketPrinting.com.